Fall is definitely my most favorite time of year. There's just something about the cool weather, warm blankets and drinks, and, of course, a good book! I have a LOT of books that I want to read this Fall, and here are just a few of them! 1. 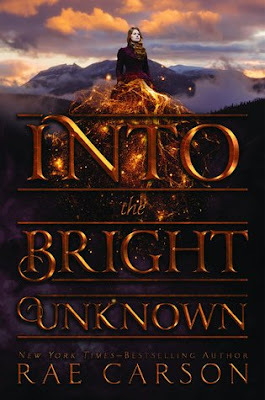 Into the Bright Unknown by Rae Carson is probably one of my most anticipated reads for this Fall!! I'm trying to work through my September TBR as quickly as I can so that I can re-read Walk on Earth a Stranger and Like a River Glorious so that the story will be fresh in my mind when I start Into the Bright Unknown!! 2. 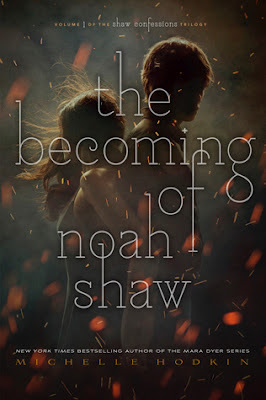 The Becoming of Noah Shaw by Michelle Hodkin is yet another most anticipated read for this fall! I'm currently working my way through rereading the Mara Dyer series, and I can't wait to get started on Noah Shaw! 3. 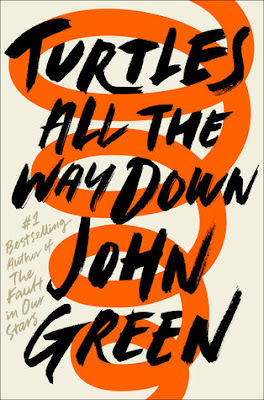 Turtles All the Way Down by John Green is a book that I'm sure is on EVERYONE'S TBR this Fall! I have my copy pre-ordered, and I can't wait to get started on it when it finally arrives! 4. 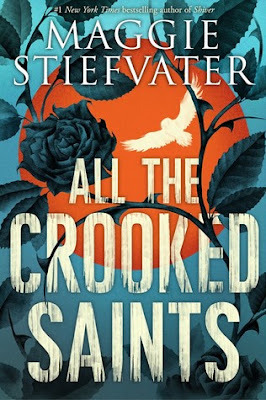 All the Crooked Saints by Maggie Stievfater is another book that I'm sure will be featured a lot today! I'm a bit behind on my reading of Maggie's books, but I'm hoping that I can get to this one pretty quickly. 5. 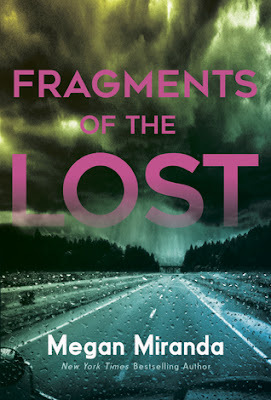 Fragments of the Lost is just ONE of the books that I have by Megan Miranda on my TBR for this fall! (I have two others on my *official* Fall TBR list, which I'll be sharing later this week.) I can't wait to read them all!! 6. 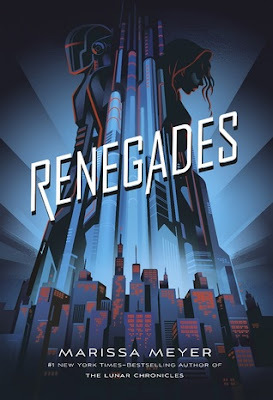 Renegades by Marissa Meyer is definitely on my list to read this month! A copy arrived on my doorstep a few weeks ago and I'm very curious to check it out, especially considering that this will only be the second book that I've read by Marissa. 7. 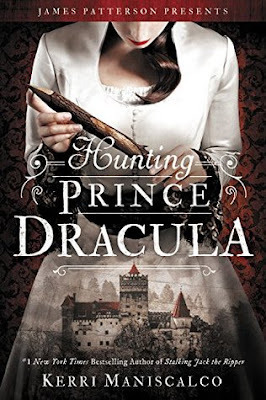 Hunting Prince Dracula by Kerri Maniscalco sounds like it will be the perfect Halloween Read! I actually read Stalking Jack the Ripper right before Halloween last year, so it would be super cool to read this one this year as well! 8. 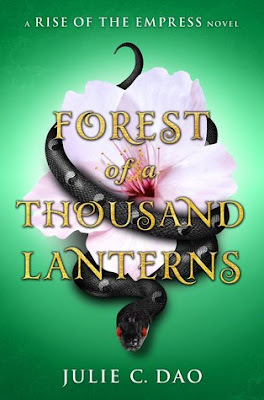 Forest of a Thousand Lanterns by Julie C. Dao has been sitting on my shelf for a bit now, and I'm finally excited to have it on my TBR for next month! It sounds really, really interesting, and I can't wait to check it out! 9. 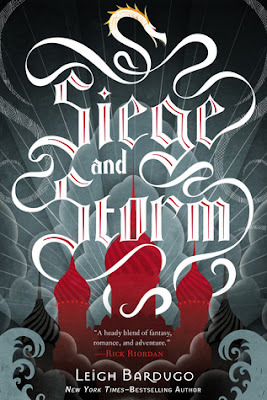 Siege and Storm by Leigh Bardugo has been out for a while, but it's definitely on my list to read this Fall, especially since I *just* finished Shadow and Bone, and am dying to see what's going to happen next. I must get to this book soon! There are seriously so many great books coming out this Fall! I've already had the pleasure to read some other books that were originally on my TBR, but I still have SO many more to read, and I'm excited to get to them all. Hopefully! Check back later this week, as I'll be sharing my more of the books on my official Fall TBR!! What's on your TBR for this Fall?? So excited about Noah's book!! And of course Hunting Prince Dracula! Loved Forest of a Thousand Lanterns though! Great picks! And of course yay for Shadow and Bone! I recently started Shadow and Bone and I`m so intrigued by the book. 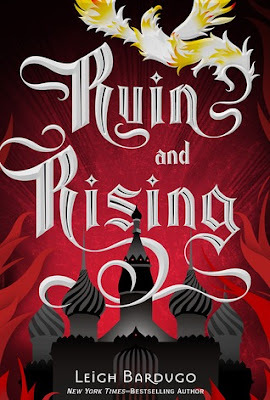 I`ll admit, not the biggest fan of the love triangle, but the Darkling is such an interesting character. I love Megan Miranda...need to look into that book! I have a bunch of these on my list as well. Awesome picks! There are so many fall releases I am excited about and so many series I want to continue/start! I loved Walk on Earth a Stranger, I really need to read book two so I can move on. Great picks! Great list! I think I'm most excited for All the Crooked Saints! I'm so excited for All The Crooked Saints!